Contact Aisling Wood at Forever Friends Animal Rescue to express your interest. 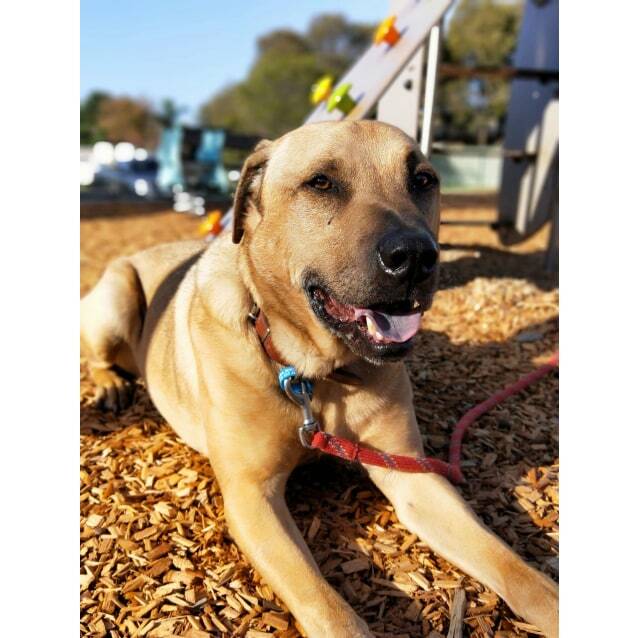 Axle is a big sweetheart who gets on well with everyone he meets. This lovable, handsome, gentleman had a hard life before being rescued from death row, and is looking for a loving family to give him the loving, luxurious happily ever after he so deserves! 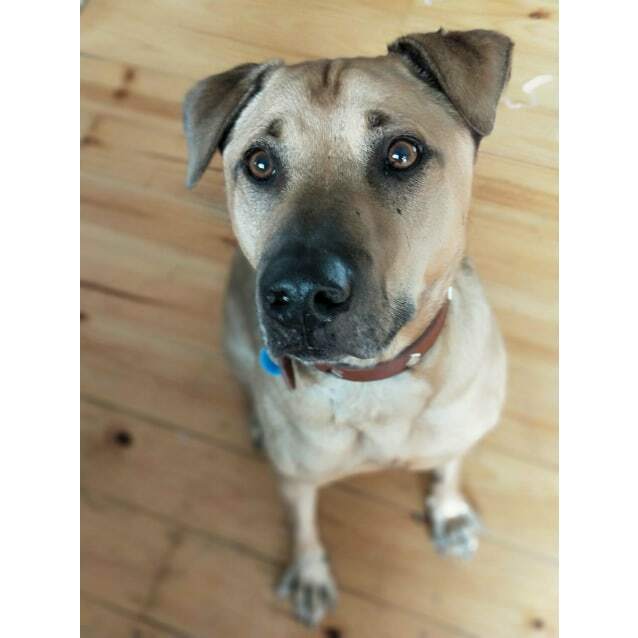 Despite his rough start, Axle is a happy, loving dog that loves humans and other dogs and would suit a home with an existing dog to help him feel safe. The love and kindness you show Axle will be returned to you two fold. Are you the loving person who can give him his second chance? 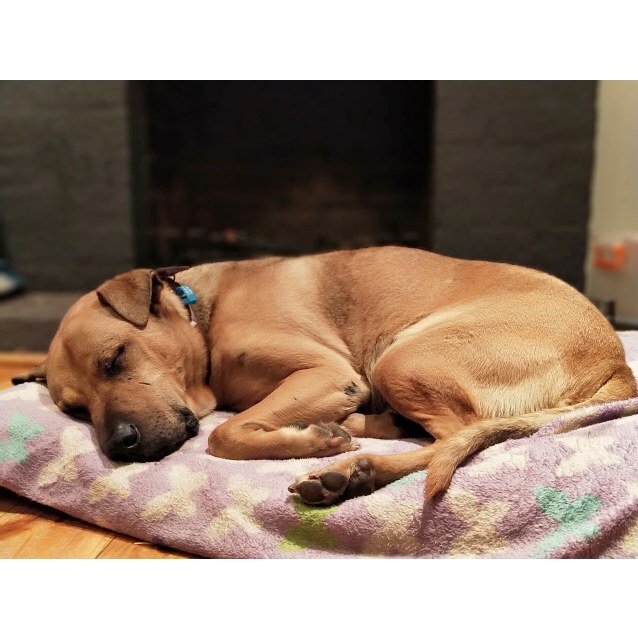 Axle's ideal forever family is someone who is home more than not and can leave him securely inside when they go out as he has a history of escaping. 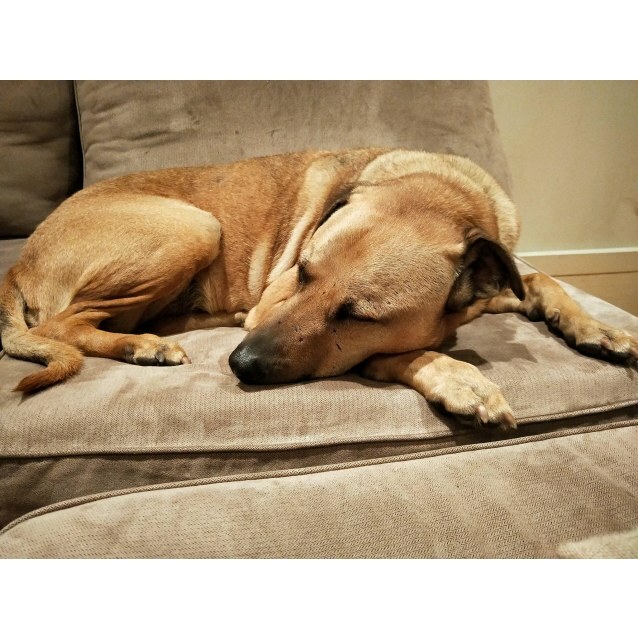 He loves a good sofa to snooze on, and is an all round awesome dude. He currently lives with multiple dogs and small children and loves them all. 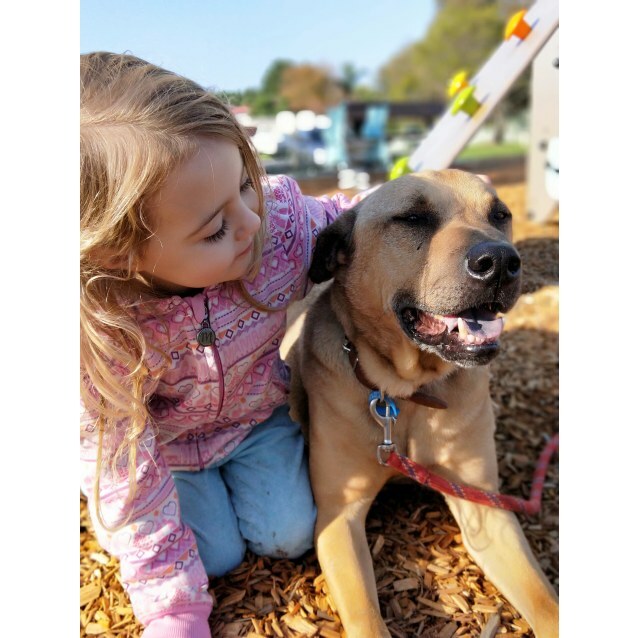 While he is great with kids, he's an older boy so kids over 4 who know how to interact with animals correctly are ideal.He doesn't just have the looks, he's a smart boy too! Axle knows how to sit, lay down, shake hands and is an excellent passenger in the car. His favourite things to do are go for a walk or a run and to have a nap on a comfy bed near his people. 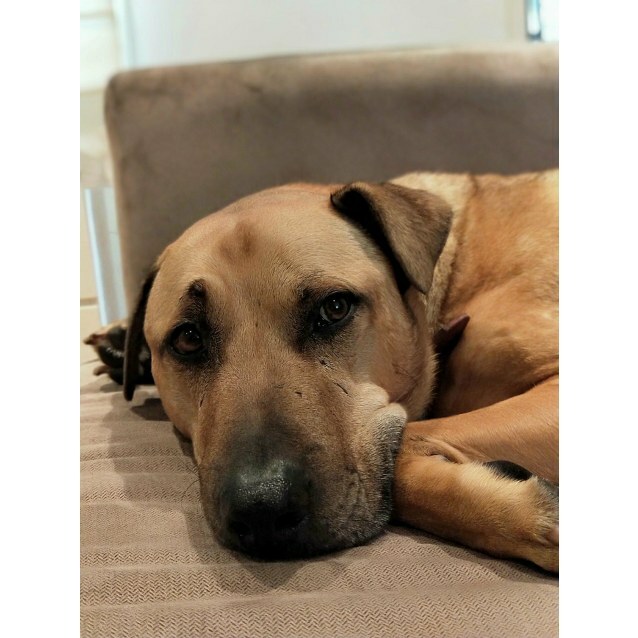 He has a touch of arthritis in his legs, which at this stage doesnt require medication, but his is new family will need to continue a good diet with joint supplements to keep him active and healthy. 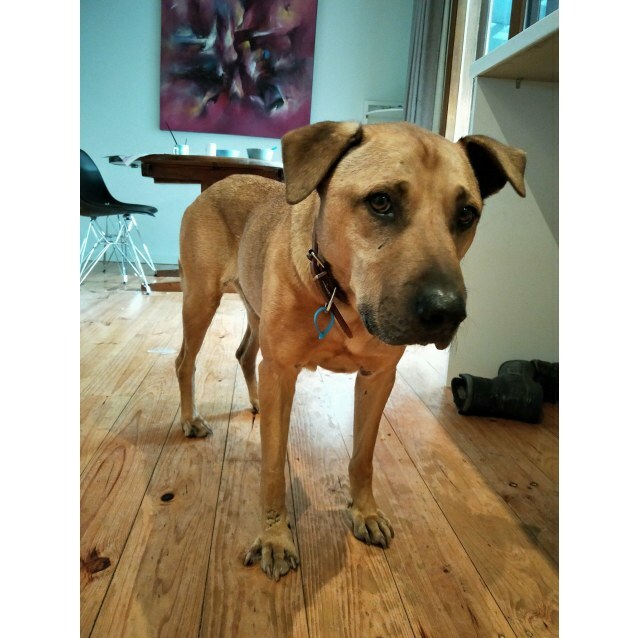 Axles adoption fee covers his desexing, microchipping, vet work, flea and worming. If you'd like to meet him, he is located with his foster family in Somerville. Has a mild limp from an old fusion surgery. Has arthritis but doesnt require meds or surgery, just some joint supplements and gentle exercise.